Money and military have driven history since ancient times. Currency changes to finance war. Wars are fought to gain more money. Currency changes to adapt to the new conditions created by war, and once wars are over, they celebrate both peace and victory as well as commemorating those who gave everything to fight for their countries. This inextricable link between money and military, evident throughout human history, has been every bit a part of American history as in any previous civilization, especially in the twentieth century. Not surprisingly, the biggest impact on American currency came with the war that divided the nation. 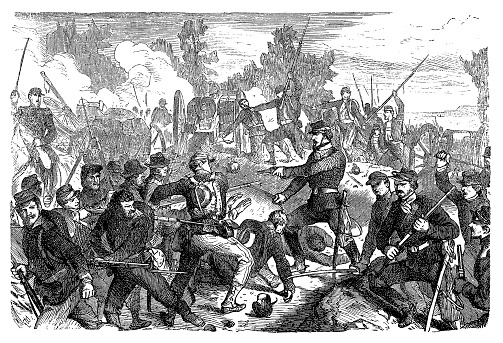 North and South both had to adapt to find ways to fight their fathers, sons, and brothers. The North’s currency remained largely stable, although one major change did take place. Thanks to a shortage of government pennies, Civil War tokens became widespread from 1861-1864. The coins were privately struck and fell into three categories: patriotic, store, and sutler. Those unacquainted with America’s monetary history may scoff at the need for such pieces, but they were essential in facilitating commerce in daily life at the time. Today, countless collectors especially, but not exclusively, those with an interest in Civil War history, amass collections of these tokens, the numismatic value of which is largely based on scarcity, but also on condition. While the North’s currency, save for the tokens, remained relatively stable, the South began to issue its own currency, the Confederate States dollar. Known as “the Greyback,” a reference to the dollar’s color and a contrast with the Union’s “Greenback,” the currency was a fascinating experiment in fiat currency. The currency was not backed by hard assets, but rather on the promise that the bearers would be paid back after the South won the war. Not surprisingly, the value of the currency diminished along with the South’s prospects in the war. While worthless in terms of their face value today, these notes, including even some counterfeit notes, are sought after by collectors. Although most changes attributable to the Civil War took place during the war itself, an American icon, the Morgan Silver Dollar, also stemmed from that division. First issued a little more than a decade after the war ended, the coin captured America’s renewed senses of pride and unity. After a visceral war, the country was coming back together, and people went from saying that they were Virginians or New Yorkers or Georgians, to saying that they were Americans. It was fitting, then, that designer George T. Morgan chose an American-style model for Liberty and depicted her wearing a unity crown of cotton and wheat, one Southern crop and one Northern one, in a powerful symbol of a country reunited. The 20th century brought more deadly wars to the United States, and those conflicts brought more changes to its money. World War I had a particularly profound impact on the country’s circulated currency, and saw three coins designed by the sixth Chief Engraver of the U.S Mint, Charles Barber, replaced by new ones. 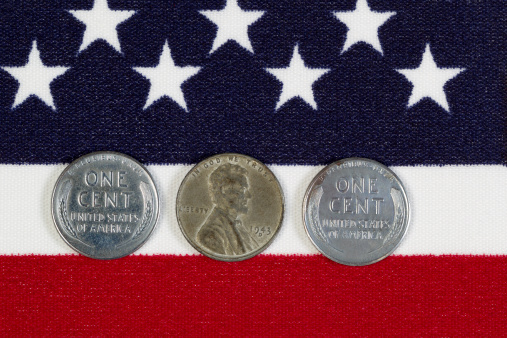 One of the most important pieces to reflect America’s wartime footing was the Mercury dime. Designed by Adolph Weinman, both faces of the coin featured designs related to World War I. America had not yet joined the war when the coin was issued, but it was looking at doing so. The obverse featured Liberty wearing a winged cap, a symbol of freedom of thought, one of the values that separated the Allies from the Central Powers. The reverse bore a fasces, an ancient symbol of war and justice, wrapped in an olive branch. According to one expert, the coin sent a simple yet powerful message: Don’t tread on me. The country was still hoping to avoid entry into the war, but it was making it clear that such avoidance would not come at all costs. Weinman also designed a second coin to replace one of Barber’s pieces. 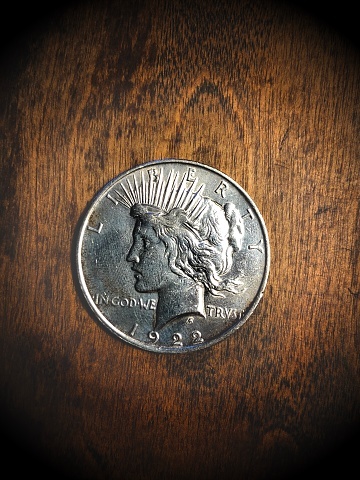 Weinman’s Walking Liberty Half Dollar quickly became an icon. Its strongly patriotic themes struck the perfect tone for a nation preparing for war. The obverse featured Liberty draped in an American flag carrying branches of laurel and oak, the latter of which represented military honors. She was walking toward the left side of the coin, where the sun was rising, i.e. in the direction of a new day. The not so subtle obverse was joined by an eagle perched on a mountaintop on the reverse. The fearless, powerful bird spread its wings, preparing to take flight on a new mission. World War I represented something of a loss of relative innocence for the world in general. To be sure, bloody conflicts had taken place throughout human history, but the massive scale and the particularly gruesome nature of the First World War earned it the nickname “the war to end all wars.” In Weinman’s case, though, there was an even more personal point of pain. He was born in Durmersheim, Baden, Germany in 1870. He moved to the United States when he was 14, and the coins that he designed were helping to prepare his adopted nation to go to war with his native one. 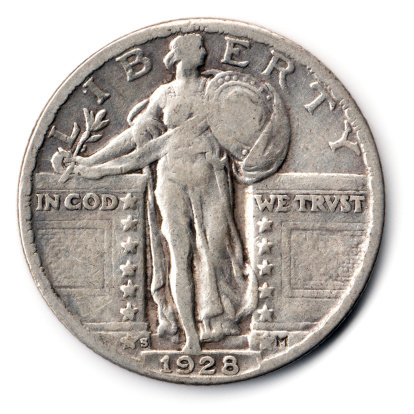 Powerful though Weinman’s designs were, they were tame in comparison to Hermon MacNeil’s Standing Liberty Quarter. Like Weinman’s coins, this one also debuted in 1916 and replaced a Barber coin. The most militaristic of the new pieces, this one featured Liberty stepping out from behind a gate. Looking to heraldic east, i.e. Europe, she bore her shield in one hand, indicating that she was prepared to fight, and an olive branch in the other, behind her, as though any fight would be in defense of peace. Her shield bore stars and stripes, which some say are all that distinguished the design from Ancient Greek sculpture. World War I finally ended in 1918 with the faces of American currency already changed for good. No longer would Liberty designs of beauty and simplicity suffice. They gave way to patriotic and militaristic issues. Although all were happy and relieved that the war was over, it would claim one final victim three years after it ended. The US Mint stopped issuing $1 coins in 1904, but it resumed doing so in 1921. In that year, the iconic Morgan Silver Dollar was struck again. However, at the time, the mint was under heavy pressure to issue a coin that commemorated the peace following the end of World War I. Anthony de Francisci’s Peace Dollar was approved in December of 1921, and production began that year. Featuring Liberty with a radiate crown on the obverse and an eagle perched on a mountaintop holding an olive branch, the coin ended an era, as it brought a permanent end to the Morgan Silver Dollar series. World War II caused far fewer changes in American currency, although two of America’s leaders would later be honored with coins of their own. This was part of a marked change from designs of Liberty, being featured on the obverses of coins, to designs of people. 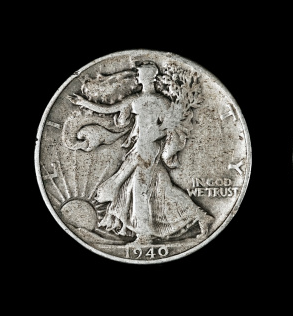 The first WWII change took place the year after the war, when John Sinnock’s Roosevelt Dime, or “Rosie,” was introduced. It took the place of Weinman’s Mercury Dime. Franklin Roosevelt was a beloved President who steered the nation through the Great Depression and most of World War II. Although he suffered from polio, his optimism and confidence inspired the nation, and he was memorialized on Sinnock’s obverse with his distinct aura of quiet confidence. That design remains on the dime to this day. Its reverse features a torch between an olive branch and an oak branch. They represent freedom, peace, and strength, respectively, themes that have been important parts of American coinage ever since. The demands of the Second World War also forced the United States to change the metal content of one of its coins, the penny, while retaining the same designs and dimensions. Tin and copper were both critical for the war efforts, as they were important products in munitions. From 1909-1942, pennies were 95% copper as well as 5% tin and zin. In 1942, the order was given that new planchets have only traces of tin, and in 1943, the mint struck pennies from low-carbon steel that was coated with zinc. The new coins were fraught with problems, and the public complained vociferously. Among the most common issues was that mechanical devices identified the new coins as slugs, which was a major problem given the value of a cent at the time. In 1944, the steel was replaced with pre-war alloy minus the tin. Issued from 1944-1946, these coins were commonly called “shell-case cents,” as the metal for them was typically sourced from spent shell-casings. War not only had a major impact on America’s circulating currency, but it also gave way to new types of currency that were specifically issued for wartime circumstances. A prime example of this is Allied Military Currency, or AMC, which was issued by the Allied Powers during the Second World War. There were concerned about military members using dollars to engage in commerce in the countries in which they were fighting. Local currencies had been devalued and were relatively unstable due to the war, and dollars brought into the economy could cause inflation, as prices adjusted to account for them. There was also concern that the enemy could then gain access to dollars introduced in commerce and use them to acquire needed items elsewhere. To fill this gap, the Department of War issued five AMCs: German, Austrian, French, Italian, and Japanese. Most were printed by the US Bureau of Engraving and Printing, but some were produced by Japan’s Ministry of Finance and by Russia. 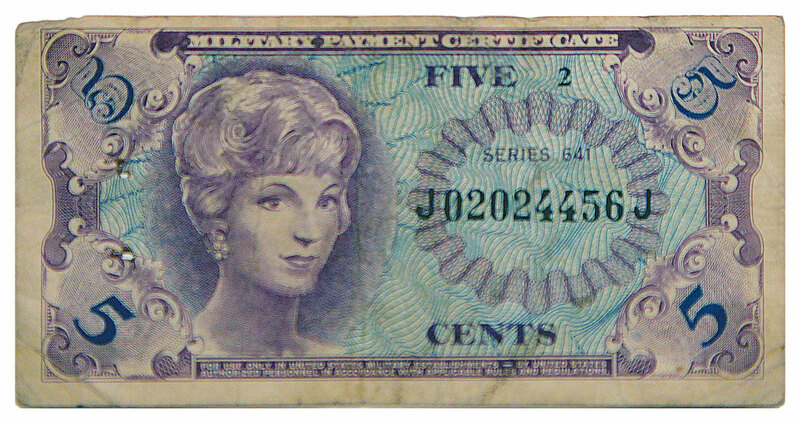 These notes are common today and have collectable value that varies widely based on rarity. AMCs gave way to Military Payment Certificates, or MPCs, which were issued from 1946-1973. The notes were cheap to produce and filled the same role as the AMCs. The notes were colorful and could only be possessed by authorized personnel. Fifteen series were produced, although just thirteen were issued. In total, 94 notes are recognized today. These notes were featured in a M*A*S*H episode in which one of the characters attempted to profit from an unethical transaction involving the notes. These are just a few of the many examples of the strong relationship between money and military, two of the most important forces in shaping American history. Understanding the history of one, is impossible without understanding at least some, of the history of the other. Whether you are an avid student of history or just looking for some new coins and currency that tell captivating real-life stories for your collection, be sure to consider some of these fascinating issues.